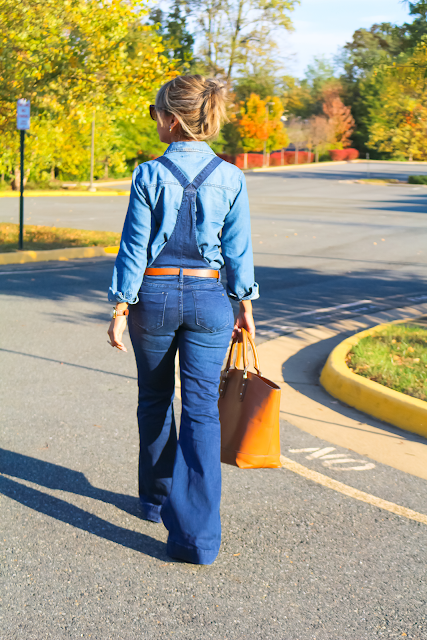 Long, long ago growing as a teen I was a huge fan of bell bottoms and flares. I was super excited to run across these overalls. 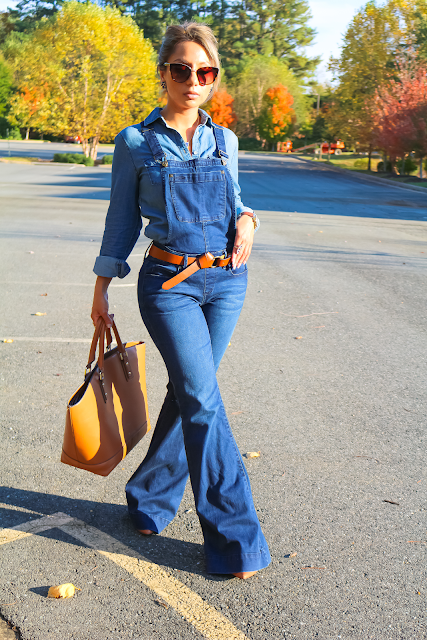 They are classic design overalls, with retro flare legs. These overalls feature dual front and back pockets and side waits button that I love. I wore my instant classic belt to give a little definition to my waist . 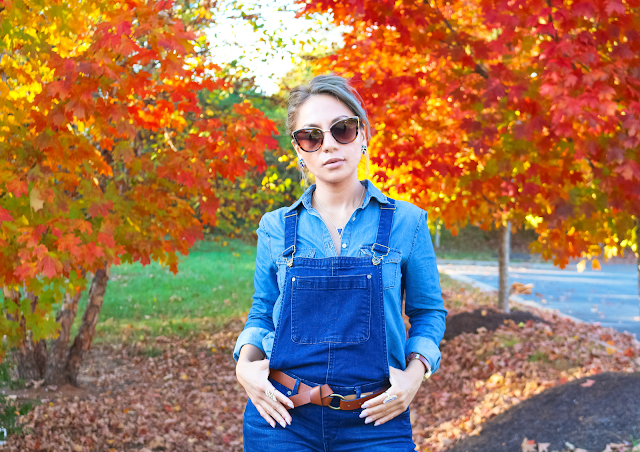 Trust me ladies these overalls fit so well and so comfortable to wear anywhere.